TravelEurope Gaiole in Chianti hotel reservation service provides you with a wide variety of lodging and hotel options, from cheap hotels to luxury accommodation in Gaiole in Chianti. Quick and easy hotel reservations with instant confirmation and great value for money whether you travel for business or tourism. 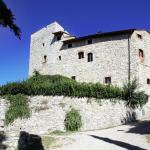 Select travel dates and find all available hotels in Gaiole in Chianti, check out guests reviews and locate properties on Gaiole in Chianti city maps, book your favourite accommodation with no pre-payment. All rates are in Euros and inclusive of all taxes. Along the way to Siena, in Gaiole in Chianti, immersed in the enchanting Chianti countryside, you will get to the Casa Vacanze San Regolo. MSN Relais Rocca di Castagnoli is located among the vineyards of the property in the heart of the Chianti Classico district, just 5 km away from Gaiole in Chianti. 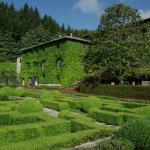 Nestled in the charm of the Chianti hills, the Relais Castello Vertine awaits you. 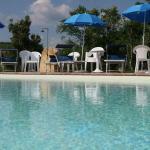 This cosy hotel in Gaiole in Chianti is about 30 minutes by car from Siena and 20 from the A1 motorway. Among the tranquil hills of the Tuscan countryside, immersed lies Borgo Casa al Vento. 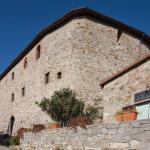 3 km away from Gaiole in Chianti and about 30 minutes by car from Siena, this hotel offers a friendly and attentive service.